Capital D with capital. 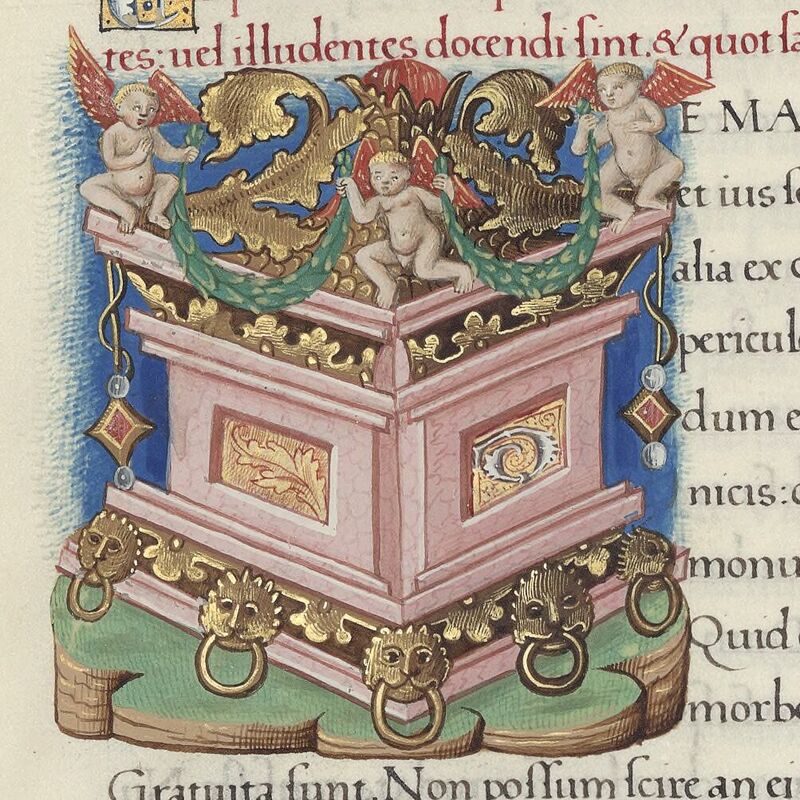 There are many capitals with architectural frames in this manuscript. This one is uniquely rendered in perspective. Lucii Annaei Senecae epistolarum libri viginti duo : praemittitur authoris vita. Bibliothèque nationale de France, Département des manuscrits, Latin 8551, fol. 30r.